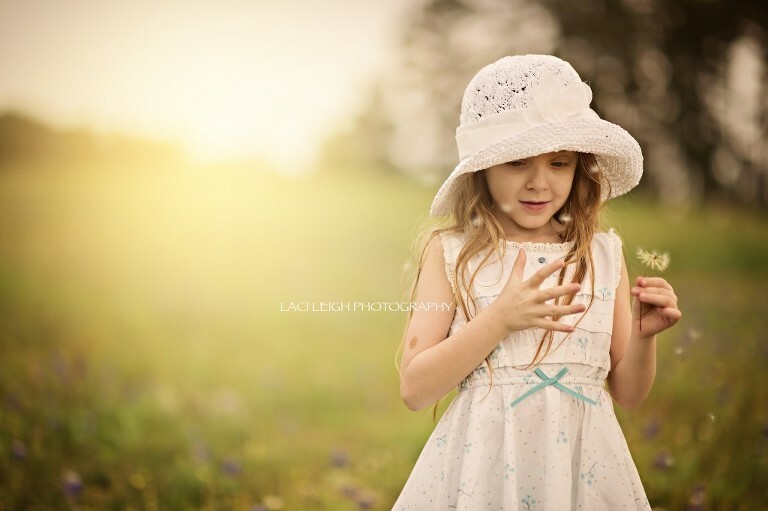 Laci Leigh Photography is a the Woodlands Photographer specializing in children’s portraiture and family sessions. Have you ever wondered what to expect at portrait sessions? When you book a session with me, you will see by my portfolio that I use very minimal props if any! Most of my props are used on milestone sessions which celebrate your little ones birthday!! During a child portrait session your child is the focus of the session, whether you book a fine art session or a simple session! I love for your child to be themselves, I let them run around and walk around (especially the little ones!) first to warm up to the environment. I will talk to them and ask them about their favorite movies and characters! I always have my camera out and ready to capture the candids and innocence of your child. For kids 4 and under I do not pose them. I let them run around and capture their personalities! I will use a small chair or box for them to sit on if they will/can, so that I can get a close of up their smiling face! For kids 5 and up I will use a combination of poses and candids. Older kids are a lot more cooperative! Don’t be surprised if your older child session goes a lot of faster than expected, they are typically easy and also ready to go quickly! Most child sessions are 30 minutes or less. I do not know many kids that have a long attention span, so I want to make this as fun for them as possible and not lead to boredom and meltdowns. For most sessions I tend to use a lot of bubbles! Bubbles bring out the best smiles. I also incentivize with lollipops, gummies and goldfish!! You will get a questionnaire from me when you book your session that will ask about this as well as getting to know you and your child. Its always fun to see what the mom/dads have to say about their sweet little ones!! My biggest advice to mom and dad, don’t stress! If you are stressed then it will rub off onto your child or children. If you have a little one that wants to run around and not pay any attention to me, its fine! I will work my magic don’t worry!! My second biggest advice, is pick a time your child will be happy. I only book sessions within the first hour of sunrise or last hour before sunset. If your child has an early bed time, please book a morning session! It is a lot less stressful for you and your child if you have a well rested and well fed kid! If you would like to book a session please click here. Dress by Well Dressed Wolf.